Greek symphonic death metal band SEPTICFLESH are excited to announce that they will be captivating North America with their haunting sounds this fall as they headline the first ever "Conquerors Of The World" Festival tour! The tour will feature support by bands that have mastered the scene in their respective country including : Brazilian death metallers KRISIUN, Israel's MELECHESH, Canada’s EX DEO, and America’s INQUISTION. The first leg of the tour will start in Toronto, Ontario on October 12th and wrap around the northeastern U.S. before heading toward western Canada. More dates will be announced shortly. 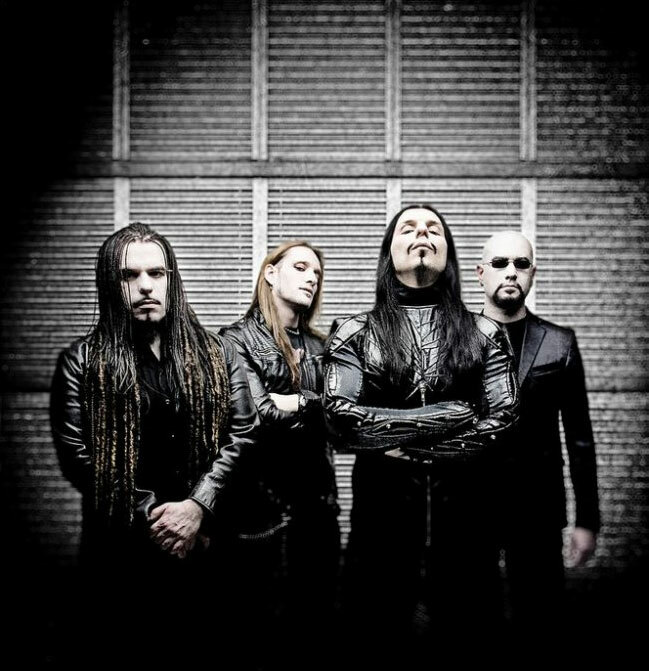 SEPTICFLESH will release their Prosthetic debut in early 2013. The group's most recent release, 2011's critically acclaimed “The Great Mass” (Season of Mist), was produced by Peter Tagtgren (Hypocrisy, PAIN) and features a full orchestra. The band -- who have previously toured with the likes of Cradle of Filth, Children of Bodom, Amon Amarth, Gorgoroth and Satyricon -- recently took part in the Metalfest Open Air Festival tour in Europe alongside bands such as Megadeth, Kreator, Behemoth, and many more.